In this great BJSM podcast with Professor Karim Khan, he explains that all exercise-based rehabilitation relies on the cells of the injured tissue sensing the exercise stimulus, converting that signal to protein synthesis, and repairing tissue – referred to as mechanotherapy. He explains why ‘rest doesn’t work’ and argues that mechanotherapy has substantial evidence in its favour. 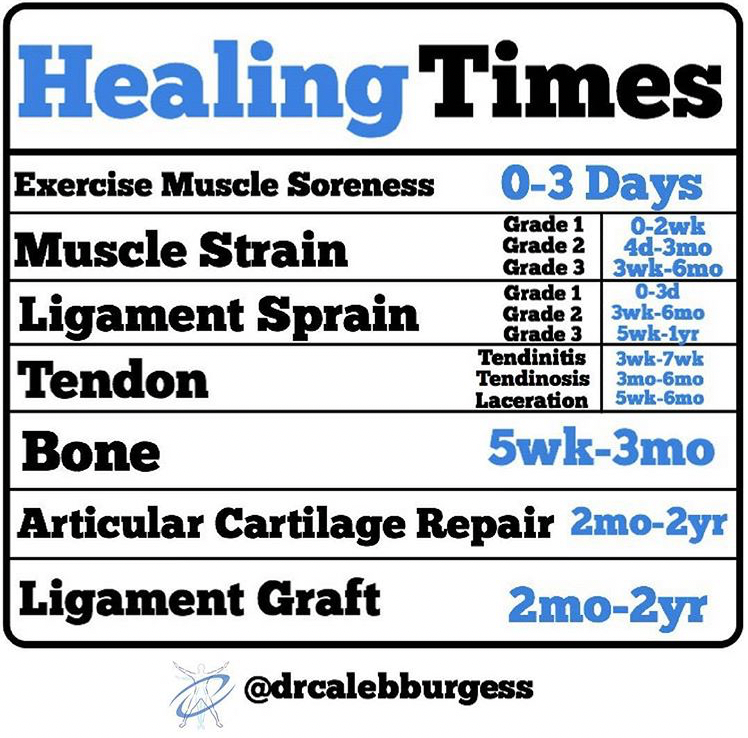 The process applies to all body tissues – to injuries / pathology in bone, muscle, tendon and cartilage. Communication between cells and adjacent cells, upregulate protein, produce new tissue and adapt the structure. An understanding of tissue healing allows the clinician to improve their clinical reasoning and to minimise damage throughout the rehabilitation program. Healing in most tissues of the human body include (1) Inflammation, (2) proliferation, and (3) repair and remodelling. These stages must be understood as a continuum, not as separate entities that occur as lockstep, with no definitive beginning or end points. When tissue is damaged, it directly injures the cells of that injured tissue – this is what initiates the inflammatory response due to altered metabolism and release of materials. Inflammation is the process involving leukocytes and other phagocytic cells and exudates being delivered to the injured tissue to dispose of injury by-products to bring the tissue to a near normal state, and allows for the second stage of healing to begin and overlap; the proliferative phase. Without the inflammatory response, normal healing cannot occur. Continues for 2-7days post injury. Throughout the inflammatory phase, there are 3 stages that are accompanied by vascular, chemical and clot formation reactions (Anemaet & Hammerich, 2014; Prentice, 2011); (Fig 1.) (Prentice, 2011). To minimise blood loss, vasoconstriction occurs. The vasoconstriction occurs secondary to platelet aggregation at the site of tissue injury, which sends signals to the cardiovascular system to vasoconstrict the vessels. This happens for ~10minutes ultimately resulting in local hypoxia in the tissues. Intermittent hypoxia caused by vasoconstriction acts as a stimulant for angiogenesis – this angiogenesis is required for healing. Finally, vasodilation occurs mediated by histamine and other chemical mediators. Histamine increases the permeability of vessel walls, increasing blood flow and allowing other cells to enter the injured area including macrophages and neutrophils to remove debris and damaged tissue. Finally, platelets adhere to the vessels endothelium to form a clot – this allows for localisation of the injury. Additionally, signals for fibroblasts are produced to allow collagen production and new tissue to replace the injured tissue during the next stage of healing; proliferation. During the proliferative phase, epithelialisation (within hours), angiogenesis and collagen deposition occur and ends with a haphazard arrangement of granulation tissue which act to fill gaps of tissue. This period of granulation tissue formation occurs within the first few hours of injury, and continues until initial healing has occurred while collagen synthesis increases. Begins within the first few days of injury, and can last from 4 to 6 weeks. During the remodelling phase macrophages break down type 3 collagen to type 1, giving the tissue it’s new strength due to tension within the tissue. Maximum strength occurs in the granulation tissue creating scar formation. Then, myofibroblasts and fibroblasts produce type 1 collagen where normal collagen content is produced after 4-5 weeks to further strengthen the new tissue. These collagen fibres are arranged haphazardly however, later aligning to the stresses that are placed upon them. With age, there are fewer satellite cells which can differentiate into any type of cell. Prentice, W. E. (2011). Understanding and Managing the Healing Process through Rehabilitation. In W. E. Prentice (Ed. ), Rehabilitation Techniques for Sports Medicine and Athletic Training. (5th ed), pp. 18-42). New York: McGraw-Hill.